“What makes us tick” showed us the power that comes from people working together on what matters to them. • The community speaking up and taking action when others have plans for their neighbourhood. • Helping each other to grow food. • Creating and sharing gardens. • By taking action to support local campaigns. • Being at the heart of a community. • The history shared through living in the same neighbourhood. • Bringing up children together. • Looking out for vulnerable people. 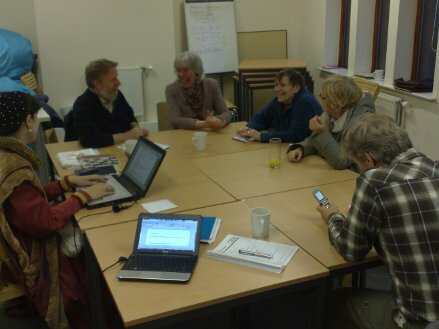 Timebanking UK nationally has about 20,000 members across 220 timebanks, of which Newsome is an important one. At the moment about 2 or 3 timebanks spring up each week. We are part of a growing Timebanking family. It’s fascinating that at this time people all over the country, the world even, are coming up with similar solutions to the problems that we face and if we can connect up that learning the potential is unlimited. Timebanking redefines how we relate to each other. “Marginalised people” are labeled and isolated by the services they use which then work to overcome the isolation they helped create. 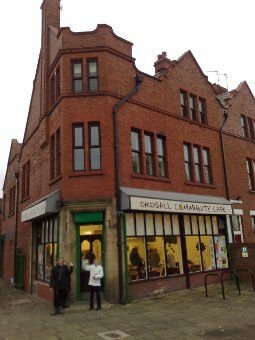 Holy Cross Centre in Camden is a day service for people with mental health problems. When I started working there six years ago, we had no money, one manager, twelve staff and were trying to meet the needs of 500 people. It was impossible. It might sound strange coming from a professional – an “expert” – but I had no idea what I was doing. We were 12 staff trying to meet the needs of 500. We never had enough money. How do you ever have enough money to meet the needs of 500 people? So we became rationers of resources. What I did have was an army. 500 people is an army, but they were 500 people who had never been asked to do anything before. Partly, timebanking is a tool for co-production without the co-production, without handing over the decision making, without handing over the power, without this being about local people coming up with local solutions, there’s not really much point to timebanking. Volunteering is already pretty good. There is a real role for volunteering, but there’s also a real role for people to take control over their neighbourhoods and their lives. Six years into Holy Cross Trust we now have 1,200 co-producers. We went on a journey from being that building where those people go, to being a community resource. We started by using timebanking for exchanges between organisations and what it meant was we could start to break out of our own little networks. What timebanking can do where we have lots of closed circles of trust – such as a church, a pub, a place of work, a family or a group of friends – is to let those closed circles relax and open up to each other. Timebanking says everybody has something to offer and it’s equal. It’s a simple equation: an hour equals an hour. I think we’re in the middle of a new way of doing things. I don’t think anyone knows how it will unravel. We’re in the process of trying to understand what the implications of building social capital actually looks like and what it’s going to mean, and we yet don’t know. There is a division here. Do we believe people can and will, given conditions of fairness and an environment of opportunity? Or do we think that people need controlling and shaping and telling and restricting? I can only say what environment and what approach has been best for me. I recognise that in my life I’ve been in the right place at right time. I’m no better or cleverer than anybody else but along the way I’ve often met somebody that could help me or introduced me to somebody who could. We’ve created a system that has removed a whole sector of people from ever being part of those opportunities, from ever being in the right place at the right time. What timebanking is about is re-establishing that sort of connection. I got my first mobile phone in that strange period between 1999 and 2001 when mobile phones went from being something that only loud mouthed rich people had, to something that nobody could live without . I didn’t buy it for the texts though, I bought it because I’d read about something called WAP, which connected mobile phones to the internet, and the idea of having all that information in the palm of your hand felt like something to do with reading and writing. It felt like books. Within a couple of days of buying the phone I knew my guess had been right, but it wasn’t the mobile internet that did it, it was texting. As soon as I sent a text I was head over heels. It was like writing poetry. Does that sound odd? It’s just texting after all. But how about if I gave you this definition and asked you what I was describing: “It’s an intimate kind of writing, with a set of formal limits, that tries to get an emotional response.” Am I talking about poetry, or texting? Because it’s not a bad definition of either. But that didn’t matter. I’d proved the point to myself, and over the next 18 months I wrote 80 poems that are small enough to fit into text messages, and collected them together in a book called, well, what else, Text Messages. When that was published I ended up on the Today programme being laughed at by John Humphries and shouted at by a famous poet for trying to destroy the English language. I didn’t succeed in destroying English, but the book is still available on Amazon, right here, and I highly recommend it, especially for the bargain price of 35 pence, which is what it once sold for! Of course I wasn’t the only person who thought there might be a connection between creative reading, writing and mobile phones, and a few months after the poem on Kirkstall Road I sent an email about poetry to Vic Keegan, the editor of the Technology section of the Guardian, he replied, and in a few more emails we had worked out a way to run a poetry competition by text message. What was so fantastic about the competition was that the texts came from everyone, everywhere, all the time. Of the seven people on the short list, none thought of themselves as poets, and the 7000 messages were about everything from big news stories of the day (mad cow disease) to personal relationships, to a poem about texting on the toilet. It’s this quality of everyone, everywhere, all the time, that is at the heart of why I heart text messages. Because texts have become such a big part of people’s everyday lives, they are by far the most welcoming medium – nobody is scared of writing a text, and people will take part by text who wouldn’t take part in any other way. Mobile phones are an intimate technology – we keep our phones within an arms length most of the time, often right next to our bodies, and the texts we get regularly are from our closest friends and family – so people will use text messages to say the things that they need to say, even if they would never say those things out loud. And because we always have our mobile phones with us everywhere, text messages can be used to reach people in the spaces where they live, and where they feel comfortable, rather than in official spaces, for example by using signs at bus stops or beer mats in pubs. If you give people something they are interested in, they always have the means to take part by text if they want to. So I wondered if we could use the intimacy, inclusiveness and commitment that text messages offered to somehow “build” public places. After all, public space is one of the things we all share, or choose not to share. Lots of different kinds of people can cross paths in a public space without ever needing to know anything about each other apart from that they all care about the quality of that place, and live some of their lives there. In late 2001 I started work on City Poems, and it opened to public participation on Valentine’s Day 2003. 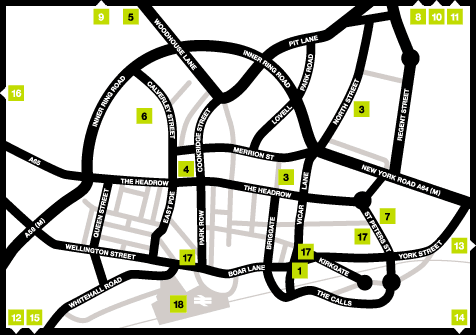 Each of the numbered squares on the map is a Poem Point, including a bar (3), Leeds General infirmary (6), a bus stop (17), an internet cafe in Chapeltown (8), Armley Prison (12) and an old people’s day centre (13). Send a text with just the key number in and you’ll get a poem back about the place you are in. 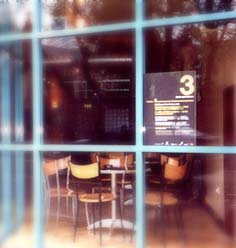 For example, Poem Point 3 is a bar, so if you sent ‘3’ as a text you’d get back a poem about being drunk, or hoping to meet someone, or hoping to avoid someone or regretting the night before. 6 is Leeds General Infirmary so there you’d get back a poem about care or grief or something that fits in with the location. If you send the key number again you get another poem. 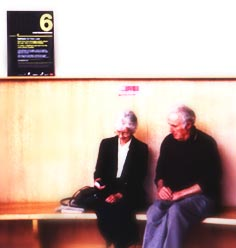 City Poems was about people making their own sense of shared public spaces by reading and writing while in those spaces – readers might never find out who wrote the poem they read at the bus stop, but they knew that there was some common ground because they shared at least one of the same places. I was the “editor” of City Poems, I choose the places to be Poem Points, and these Poem Points made a biography that was chosen, at least in part, by me. But that is just one biography of a city, mine, and there are as many biographies of Leeds or any other city as there are people who live there. It’s really not for me to say what the important, meaningful places are that people care about. It’s for whoever wants to, to make their own choices. One of the things I’ve been doing since is trying to make a web site that lets anyone who wants to set up their own version of City Poems, or set up anything else that they want to try out by sending and receiving texts. The first step in the process was a creative writing workshop, again run by Peter and Ann Sansom. Peter and Ann are great at engaging with people who aren’t confident as writers, and they use creative writing games and exercises that help people to say the thing they need to say. Their approach is perfect for texting, because they give people confidence to talk in their own voice, and Jane Wood, one of the organisers of the Ordsall group, described the workshop as “absolutely brilliant”. This page has become a very engaging archive, written collaboratively by the people taking part, and browsing through it is a great introduction to the area and the people who live there, in their own words. This is very helpful for Ordsall, because the area has a reputation that isn’t always positive. One of the questions the group asked themselves by text was “What is the best thing about living here and why?”. And after a few weeks, Jane and the other organiser, Mike, incorporated the creative texting into the radio show they present on the local community radio station Salford City Radio. Everyone taking part thinks that there is something unique and valuable about using text messages. 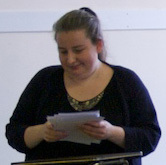 Sylvie, one of the members of the group, said that “a question out of the blue makes you be creative on the spur of the moment” and that being able to reply straight away by text made the answers more personal and honest: “it wouldn’t be a true thing if you didn’t do it straight away, it would be calculated”. 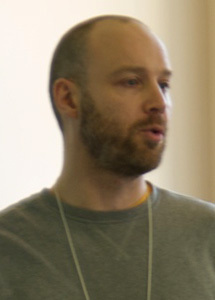 Mike felt that being able to text anonymously meant that “in a group, people are mindful of what they are going to say in public, but when it’s just you and a phone you can be a bit more open.” This anonymity is different from “social media” web sites like Facebook and Twitter, in which contributions are linked to a personal profile. Sending the text “is like a message in a bottle”, a rich, intimate experience for the person writing: “it digs things out of your head that you didn’t think about”. Being able to go to the web page and find other people’s answers makes it a shared event, even though the members of the group didn’t know who has submitted each answer: “you would be on your own without the web site”. 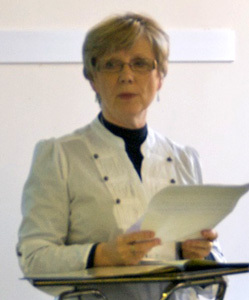 Jane says she goes to the website straight after every question, and Sylvie discusses the messages with her partner: “I told him the questions and read the answers out, and said ‘can you tell which is mine’?” This combination of anonymity and openness contributed to building trust within the group. When the Ordsall Writers group began using text messages five months ago, there were seven people signed up to take part, but that has risen to 18 through the members of the group introducing the activity to other people. There seem to me to be two reasons why the Ordsall activity has been a success so far. The first is the talent, good humour and initiative of the Ordsall Writers. The second is text messages, and the qualities that are, if anything, even more true than they were for the Guardian’s poetry competition in 2001 – that text messages are welcoming, intimate and that all of us have our mobile phones with us all the time. Timebanking UK supports a wide variety of timebanks in more than 200 locations across the country. Among the participants at ‘What makes us tick’ were representatives of several different models of timebanking. We asked three of them to take questions raised by the rest of the participants. Rushey Green Timebank was started by a GP surgery in Catford, South London. Philippe has been the development manager there since 2007. 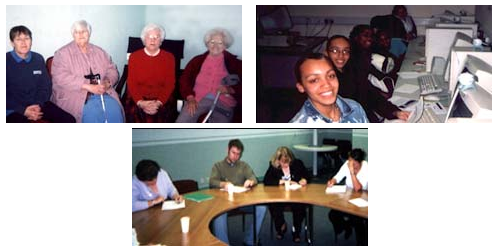 Fair Shares in Gloucestershire started in 1998 and set up the first timebank in the UK. Reyaz has worked there since 2003. 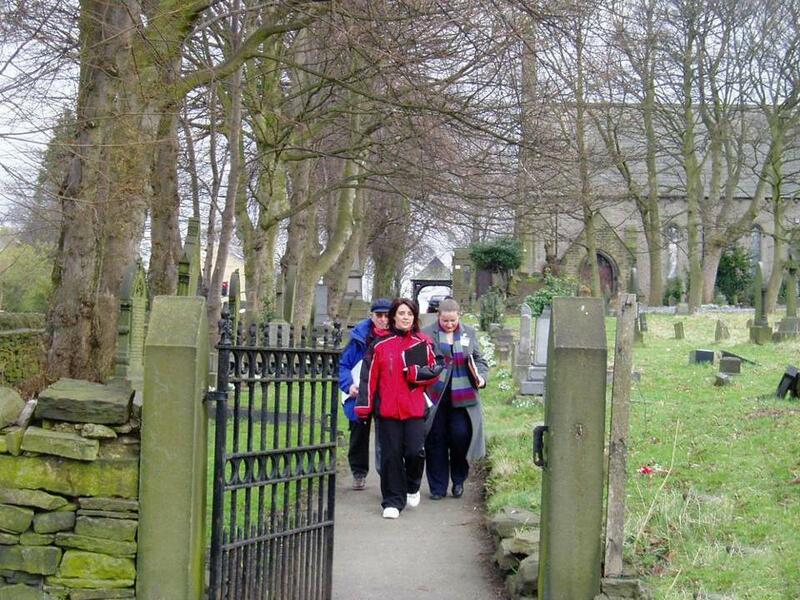 Newsome Ward Timebanking was founded by members of Newsome Ward Community Forum and United Response in Huddersfield. Rachel has been the Timebanking coordinator since 2008.
Who holds the volunteer details? Does red tape and bureaucracy affect the process? Is there an optimum size for timebanking to work – town, ward, neighbourhood, estate, street? How many people and what other support is required to start up a timebanking project? Where do you go for support? Is it important to distinguish volunteers from timebank “members”? 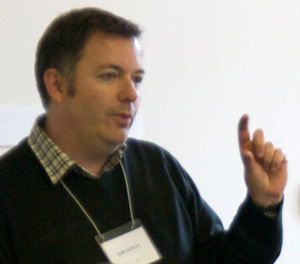 “It can be, but I think it depends who your audience is and whether you have shared aims. How do you resolve timebank deficit, where someone receives but doesn’t give or where no one has skills being asked for? You ensure that services that can be offered are not just manual, intellectual or specialized skills, and include all sorts of knowledge and abilities. For example, to keep an eye on someone’s house and perhaps collect their mail while on holiday doesn’t require a lot of ‘skill’ (unless there are mobility issues). Ditto ringing another member once a week to say hello and make sure they are OK. Same for picking up prescriptions for someone or recounting a story, a trip, helping to clear up after an event, help tidy up the office, or stuffing envelopes. It is often after a person has started to help out at the office or group activities that their self-esteem and self-confidence start to grow and then they take on new challenges and also learn new things. You create opportunities for people to earn time credits (for example do some basic admin) and other opportunities to spend them so that they experience the benefits. You create opportunities for people to benefit from services that require them to have credits to access such. For example, an outing on a coach, and one must have x amount of credits to go on it otherwise they can’t go! That usually does the trick to get people wanting to earn credits, and may start getting them used to earn credits by helping others or at the office. Please can you give top tips to encourage people to get involved in timebanking? It gives you access to a network of helpers that even if you don’t need anything right now, you may need it later. You will find people that can come and do simple things for you that traders are not interested in doing. It gives you an opportunity to share your experiences and skills that may not have been appreciated before or elsewhere. You don’t have to be a hero or super skilled – you are welcome as you are. You will feel welcome and valued. It is not volunteering, you will not be asked to do anything that you feel you must commit to for x amount of days and hours. You can say no to something you don’t want to do and you will not be judged because of it. You will learn from other people, you will acquire new skills. Lots of the examples from Newsome had an issue of concern to local people before timebanking was introduced. If the issue is hidden (like social care issues) will timebanking work? “Of course, because with Timebanking these things aren’t really separate. We have used timebanking to help people organise action to address issues of local concern and worked to include people who are often left out of things. In Newsome people did this with the local campaign about planning permission at Newsome Mill, and with Growing Newsome, the local food growing project. 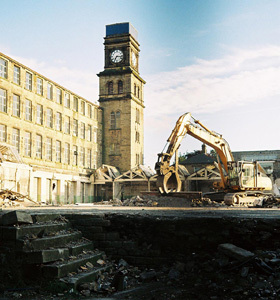 On 6th November 2007 I found out that the owner of Newsome Mill was intending to demolish the building. When I walked around the corner of Hart Street that evening and saw the weaving sheds standing there without their roof slates, I felt completely powerless. I was told that there are some things you just can’t do anything about. But I don’t believe that. It was only when we were about to lose it that I really understood the relationship between local people and our mill. Newsome is here because of the mill. It’s part of our history, part of our landscape and part of our identity. A strange silence fell on Newsome when the mill clock stopped. Within 2 months, I managed to get the mill Grade II listed. But that was just the beginning. The mill has suffered flytipping, theft, vandalism and arson. Even the war memorial was stolen. We made a public appeal and got it back. To try and stop these things happening, we started trying to find ways of telling people what was going on. Timebanking helped us reach the whole of Newsome, spreading the word through newsletters that were hand-delivered by timebanking members. The other half of the battle is the former Newsome Mill allotments at Hart Street. Many people had approached Newsome Forum asking for help getting an allotment. Meanwhile, the land at Hart Street has stood empty for 20 years, with the local community resigned to just complaining about it. People with similar interests came together around the land at Hart Street – heritage campaigners, near neighbours, conservationists, local food activists and land campaigners. We met and decided what collectively we could do. We decided to get our own evidence of the local need for food growing. We ran the Newsome food survey to find out whether there is demand for food growing in Newsome. We needed to find 12 people to volunteer to work a full weekend to run a door-to-door survey, which seemed like a massive commitment. Timebanking helped us to identify people who cared about the issue. We learnt how to do this together – and we got 486 responses to our survey. We heard local people’s stories first hand and found out that together we have everything we need to grow our own food. The results were overwhelmingly positive. 53% of people were willing to do something to help others to grow their own food. We formed Growing Newsome and held our first event within 3 weeks of getting the survey results. 80 people turned up, and it was impossible to tell the organisers from participants. Everyone just got together and helped each other – so those survey results didn’t just stay on the page. Growing Newsome is all about sharing. 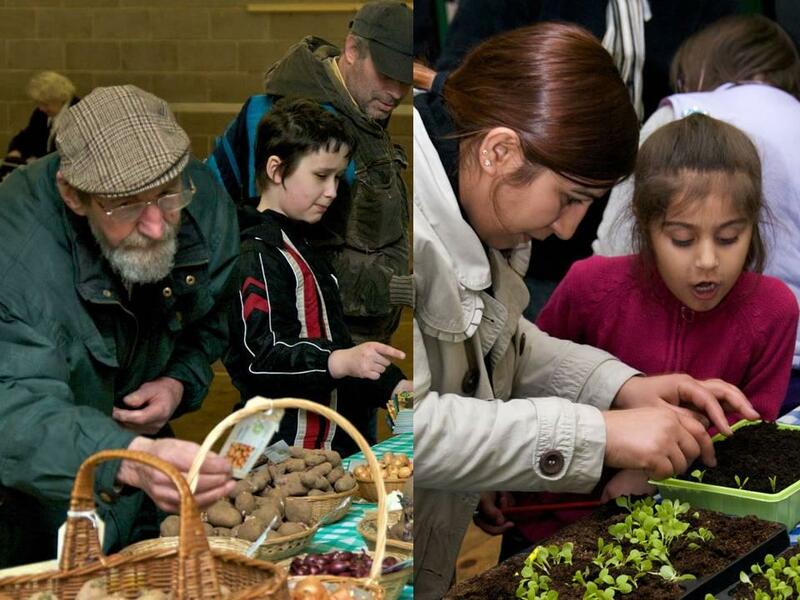 We encourage the swapping of seeds, plants and stories. Older people with experience in food growing are helping younger people who are just starting to learn. This is building confidence about how to grow – everyone can participate in some way. Next we looked at where to grow. We started a garden-sharing scheme. We started to learn that it’s ok to ask for help, because we have things to give in return. One lady was brave enough to offer us her garden, which was shoulder-deep in brambles. We all got together one morning to clear it. We also started to work with other organisations. We asked One 17 Design for help with the Hart Street allotments. They helped us to develop a vision for the site and to share this. After years of complaining, people were now talking about doing something positive with the land. 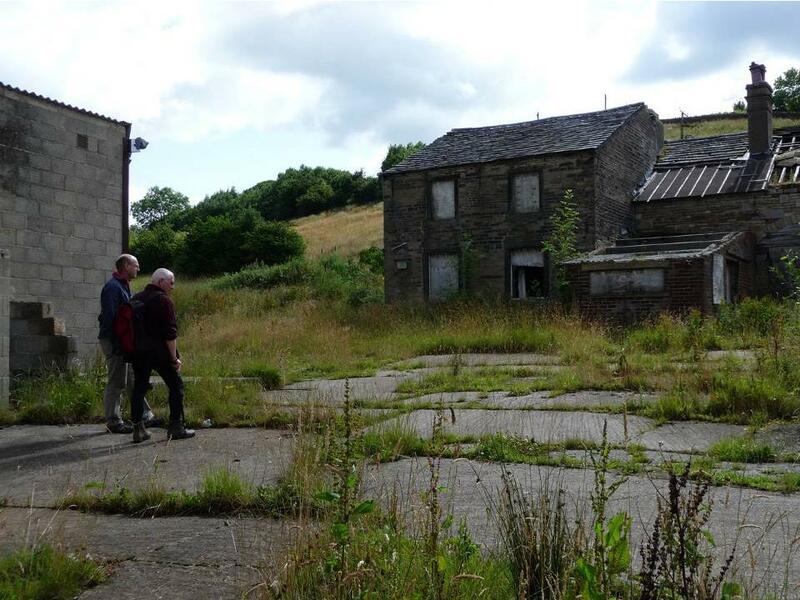 We shared our aspirations with the Yorkshire Wildlife Trust, who were looking at a much bigger area of land for food production at Stirley Farm. 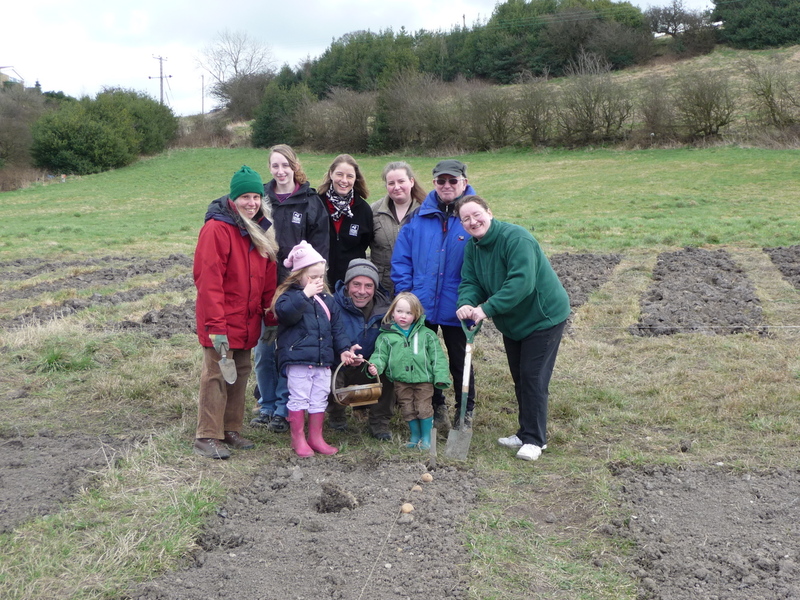 They carried on our survey work, and their plans were influenced by local enthusiasm for food growing. Meanwhile, we still needed somewhere for our project to grow. 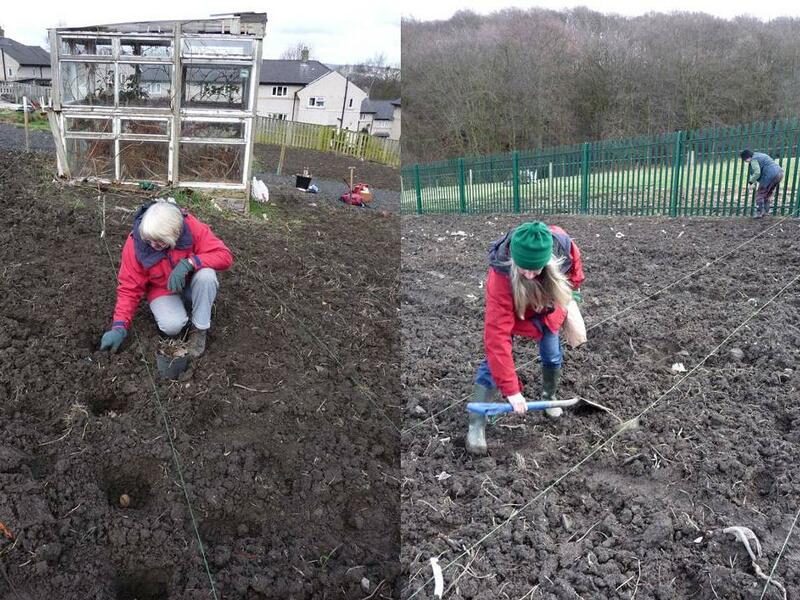 So we took on 2 allotment plots, following council investment in local allotments that we helped to secure. We inherited a load of mud, weeds, pigeons and two old, battered glass houses. None of us could have taken this on ourselves. I met Pat and Cherry through the allotment. The three of us live 2 minutes away from each other and we’d never met. We need to talk to each other all the time to get things done – to organise ourselves around the weather and work out what needs doing. We’ve become friends. So together we’ve grown far more than vegetables. We worked with what was there already. 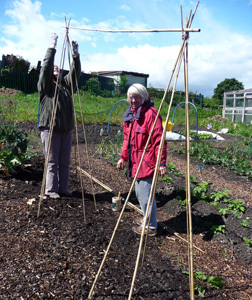 We kept the vine and grew runner beans up the old A-frame. People started to bring us things – rhubarb, an apple tree, seeds and veg plants. Some people brought their experience. Some brought strength. Some brought equipment. Some brought encouragement. And the grapes began to ripen, due to (or in spite of) our efforts. And this way of working began to influence how I thought about other projects. We call our technology project Newsome Grapevine. Because it’s about helping people to share what they know, to share it on the grapevine. But also because I was inspired by my fellow food growers and the vine that didn’t give up. 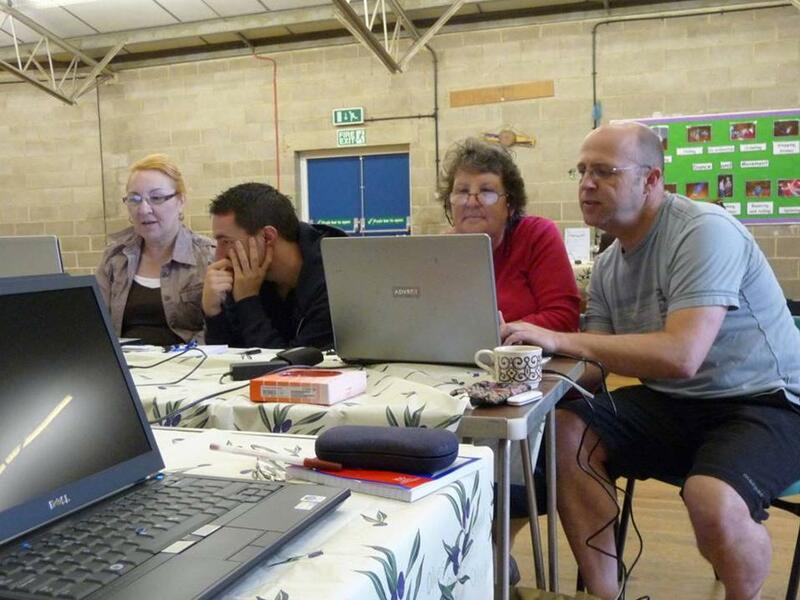 We started running computer drop-in sessions, helped by Paddock Learning Centre. Rob, who we know from Growing Newsome, came along to help people with digital photography. Janet came to learn but also shared what she knew with others. And she brought other people along with her – some dragged out of the queue at the post office. Some of the people who we met at the computer drop-in then came along to the Growing Newsome Autumn Fair. Other people brought us courgettes from their allotments and apples from their gardens. We turned these into jam for the Christmas Fair at Paddock, which we’d been invited to by Simon from Paddock Learning Centre. In the process, I accidentally learnt how to make jam and cake, encouraged by our Timebanking Co-ordinator, Rachel, and by my mum. 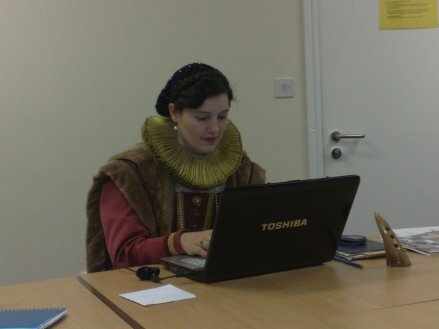 Our technology project was also coming to fruition. A new website and text message mailing lists gave us new ways to share what we know. 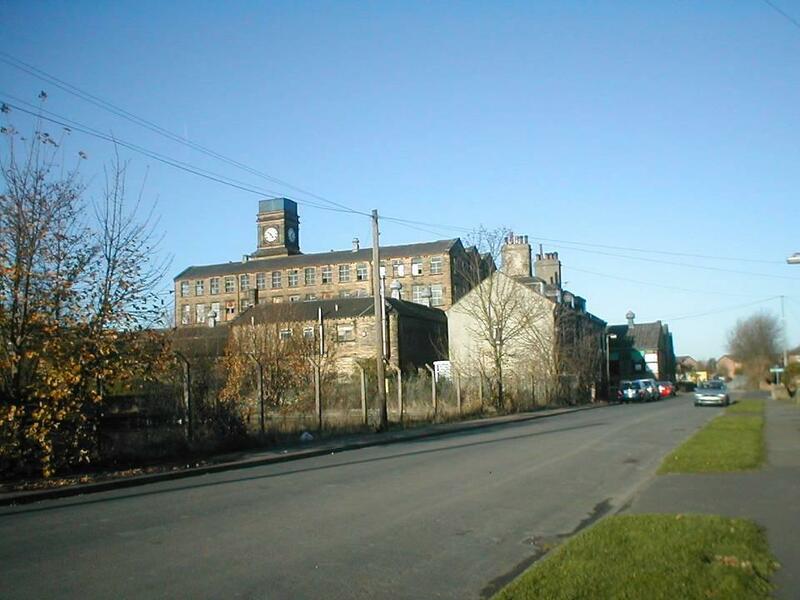 Things have also progressed at the mill, with new planning permission being granted in January 2011. 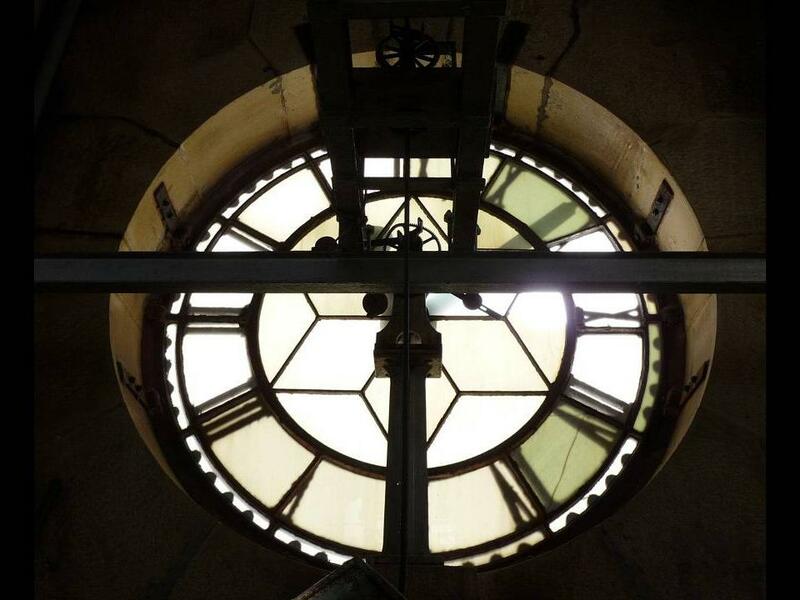 Exactly 3 years after listing, the mill clock hands were stolen, which was really upsetting. No-one seemed to want to take responsibility. 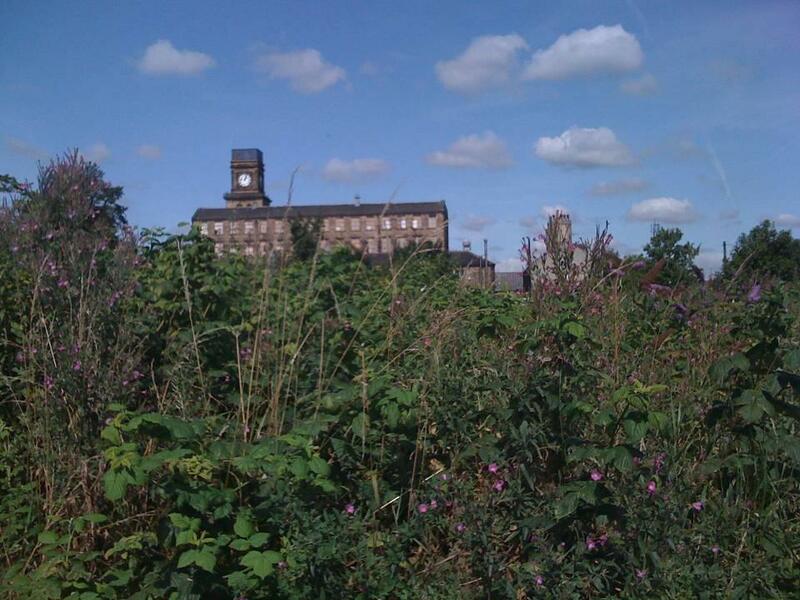 But we are now actively looking for anyone who can help us to protect our mill and get it back into use. The future is still very uncertain, but we have given this building a voice. So is my story about losing things, or about what we’ve gained? Imagine if timebanking members became the custodians of this clock, so that it can be heard again in Newsome and beyond. Imagine if Hart Street became a local food growing centre. By working together, these things are possible. People + place + timebanking = getting things done. You’ll never get me up in one of those things’. It’s a moving little story about a caterpillar but for me it has a more serious message, because if the caterpillar didn’t get into that thing it would never become what it is intended to be. It would never reach its potential. 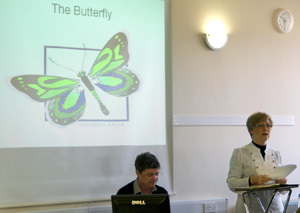 My job for the churches is to work with and for the community and to assist them where appropriate to gain a better quality of life – to help them reach their potential, to start releasing some of their butterflies. And this is where Timebanking has proved a great resource. Timebanking was set up as a skills swap organisation – I do your decorating and someone can do my gardening, that sort of thing – but interestingly something else has happened. It seems to be able to help people who have been very isolated, lacking in confidence and self esteem, to blossom and flourish so that they can become part of the community and feel as if they are doing something worthwhile. Our work seems to dovetail so well. 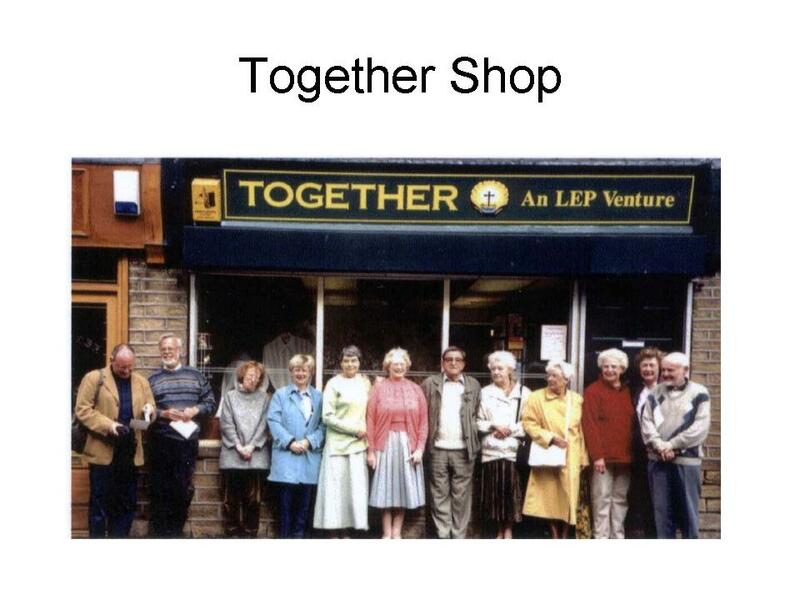 The churches run a charity shop in Newsome called the Together shop. We have over 60 volunteers involved in all sorts of tasks, from selling the goods, sorting them, making sure the shop is fully stocked to collecting donations and the window dressing. We have seen people grow and develop because it has alleviated loneliness and isolation for many who work there and also those who buy things. It’s a bit of a chitter chatter shop because people who live alone will call in and have a chat, get things off their chest, have a bit of a laugh and go away smiling – it doesn’t really matter if they don’t buy, the main thing is they go away feeling better. One of our volunteers is young lady who was introduced to us through Timebanking. She helps in the shop and the manager tells me that over the months she has been there she is more confident, she is so reliable and always on time and willing to do anything. Every year we have a party to thank the volunteers for the time they give us and this young lady came this year. She hardly knew anyone there but she walked in, took her place at a table and enjoyed her supper. She laughed and sang along with the entertainer and do you know it’s not that long since I could only get a very shy “Hello” out of her. And I wonder, is her butterfly beginning to be released? Every two weeks I help run a Social Dance for older people in Newsome. Here again we have been able to work together. Rachel Taylor, the Timebanking co-ordinator, has introduced us to several people who have attended the dance. One lady (who has a learning difficulty) started coming to help us wash up when we had had our cup of tea. She was so shy and reserved when she started. Her support worker even brought a pot towel to encourage her into the kitchen No such luck. She wants to dance and that’s what she does. She has a great time. Laughing, giving us hugs and telling us about where she is going on holiday. What a change in her! About 18 months ago the churches and the community organised a weekend event at Newsome High School. The aim of the weekend was to celebrate all that is good in the Newsome area. It was a huge success with over 800 people attending. We saw friendships develop. Some of the people who helped hadn’t been involved in things for a long time. They gained in confidence, and wanted to get involved in other things and a real feeling of camaraderie grew. We would have found it much more difficult to do the job if it hadn’t been for Timebanking. We had so many volunteers willing to help and make the event the success that it was. I have a lot to thank Timebanking for. We have other projects in the pipeline and I look forward to sharing the work with Rachel but what I look forward to as well is seeing how people blossom when given the chance to do something that makes them feel useful and cared for. So long may Timebanking reign and we work together to release many more butterflies.